I’ve been on a baby-hat making spree lately. There are lots of babies coming into the world amongst my friends. 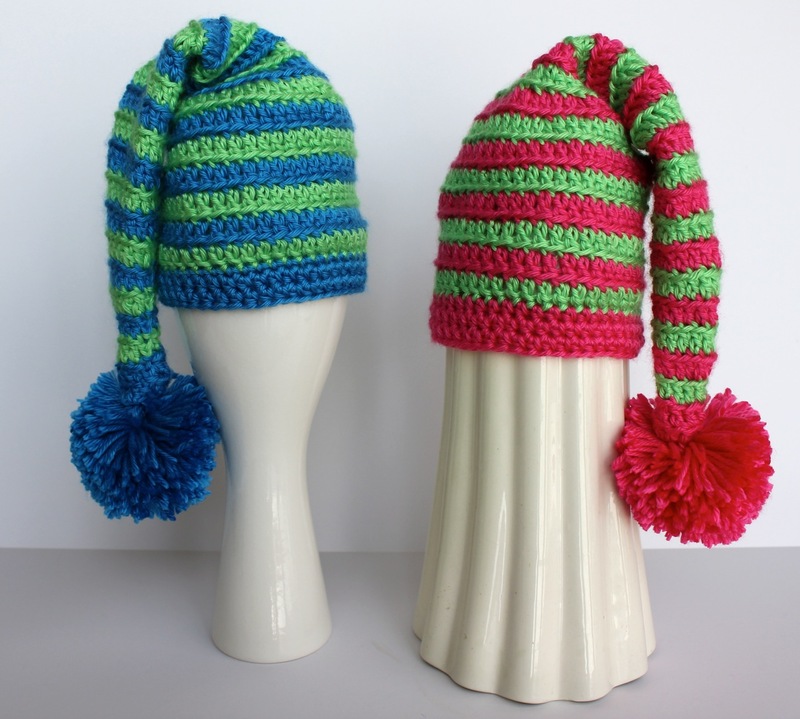 This elf-hat pattern is so easy, and looks great no matter what color! The pattern came from Etsy shop, BeezyMomsCreations, and it was exactly what I was looking for! The big, fluffy pom-pom on the end really makes it extra special, don’t you think! It’s the perfect time of year in northwest Montana for staying indoors and crocheting, so more hats are on the way! I can’t wait to see these on the special twins due any day. Happy February and Happy Stitching!